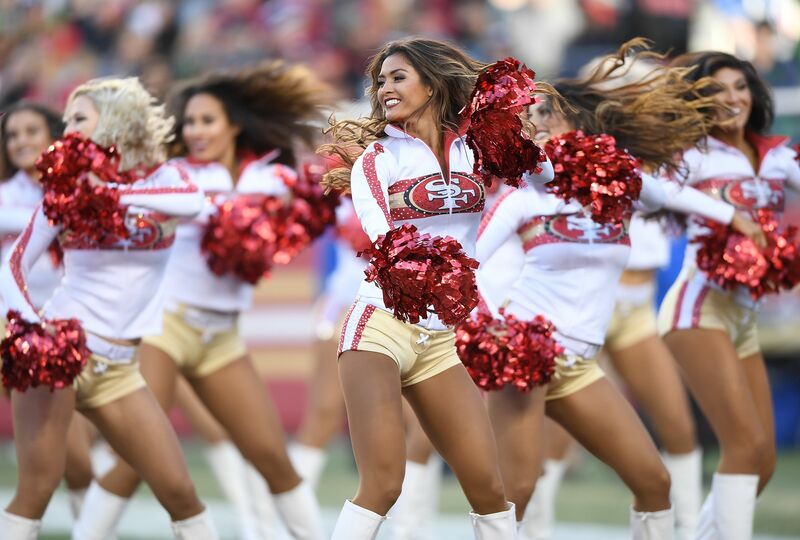 Bettors are pounding the UNDER for Thursday night’s game between the Los Angeles Rams and the San Francisco 49ers. Jason Lake takes a closer look at the numbers. Remember how the new NFL is supposed to be all about offense? That’s so 2013. Through two weeks of the new regular season, teams are scoring an average of 20.1 points per game. If that rate continues, this will be the lowest-scoring season since 1993, the year before the NFL adopted the 2-point conversion. And go figure, the UNDER is 19-12 heading into Week 3. We can explain this away easily enough. There are the new PAT rules adopted in 2015, making the kicks longer and giving teams the option of skipping “unnecessary” attempts at the end of games. There are several teams with major injuries on the offensive line. It’s early in the season, and offenses take more time to get game-ready than defenses. And lastly, 31 games is a small sample size. Dumb luck plays a larger role in football than people realize or care to admit. Having said all that, the San Francisco 49ers are doing a great job of keeping points off the scoreboard. Their first two games both went UNDER, and all 12 of their points thus far have been scored by PK Robbie Gould. No wonder early bettors have been hammering the UNDER for Thursday’s game (8:25 p.m. ET, NFLN) against the visiting Los Angles Rams, driving the total down from 41 points at the open to 40 points at press time. Is there still some value here for our Week 3 NFL picks? Let’s do the math and see. Right off the bat, we have to raise the red flag now that the total has dropped from 41. You may be familiar with magic numbers (3, 7, 10, et al.) when it comes to the point spread, but there are certain totals that contain their own magic, and the most important numbers, in this case, are 41 and 37. Those are the most common combined final scores in the NFL; moving a half-point off these magic totals is worth 10.6 cents, according to Wizard of Odds. That’s the same value as moving from +10 to +10.5 on the point spread. That next step from 40.5 to 40 points isn’t small potatoes either at 8.0 cents. That adds up to… let’s see, carry the one… 18.6 cents in value between UNDER 41 and UNDER 40. Hedge fund managers are strangling each other trying to get that kind of value per annum out of their investments. We’d better have a darned good reason to stick with the UNDER at this lower total. Which brings us back to the Niners. In yesterday’s look at NFL teasers, we called the new stadium in Santa Clara an “abomination,” and that term wasn’t used loosely. The turf has been an absolute disaster since they opened this barn in 2014. And it’s still terrible; in July, they hosted the Gold Cup soccer final between Jamaica and Team USA, and it was a joke. Divots, divots everywhere. And let’s not forget Super Bowl 50. The Denver Broncos beat the Carolina Panthers 24-10, going UNDER the posted total of 43. At halftime, both teams were looking for longer cleats to wear. It’s tempting to auto-bet the UNDER for Thursday’s game just out of spite. The Niners defense may be mediocre, but it looks a lot better than it did last year when they split the totals down the middle. And their offense is a glorious mess. The weather forecast isn’t giving us any rain to grease the wheels, but we’ll recommend a suitably small wager on the UNDER here, especially with the deals on vigorish available on the NFL odds board at press time.